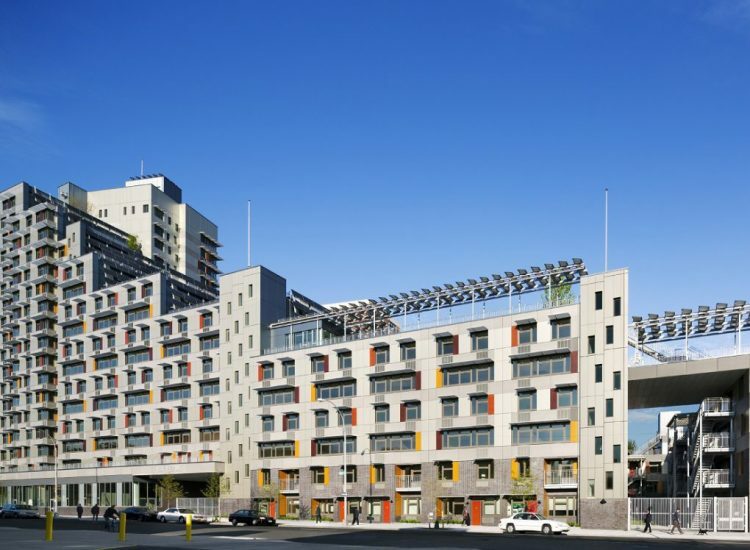 Bronx, NY | Via Verde is 300,000 square foot urban infill project. Developed by Jonathan Rose Companies and Phipps Houses, Via Verde includes a 66 kW building-integrated solar PV system, onsite co-generation, green roof, community vegetable gardens, natural daylighting and cross-ventilation, green interior ﬁnishes, rainwater harvesting, and drought-tolerant vegetation. 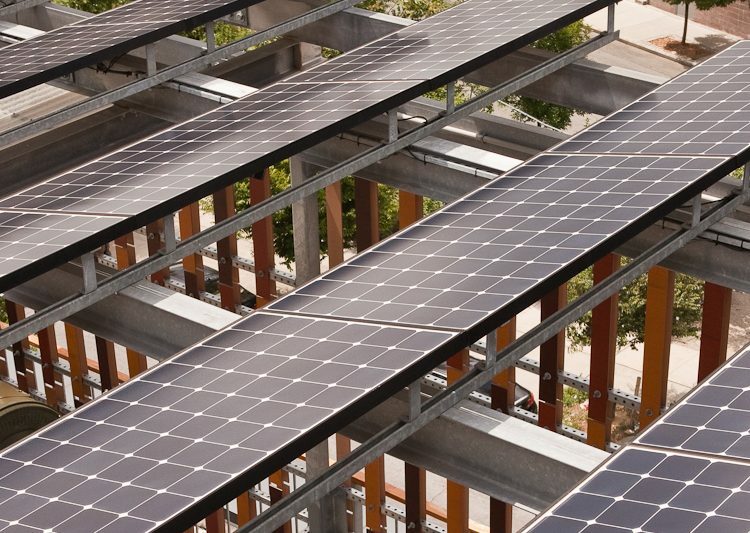 Bright Power was an integral part of Via Verde’s design team providing expert consultation in energy efficiency, solar energy, and green building construction. Through our services, the building achieved ENERGY STAR certification and a LEED Gold rating. Several years after completion, Bright Power was brought in to design and install an 18 kW battery storage system. 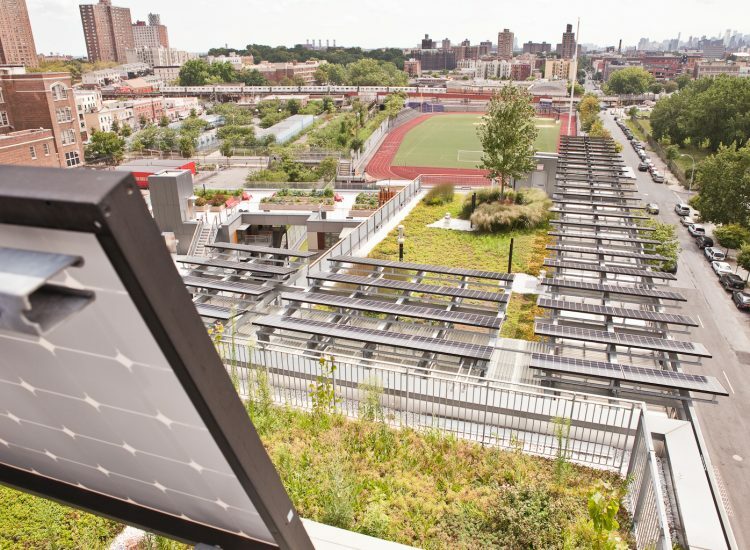 The building features one of the most innovative building integrated photovoltaic systems in New York City, with dramatic cascading solar wall and lofted solar canopy. 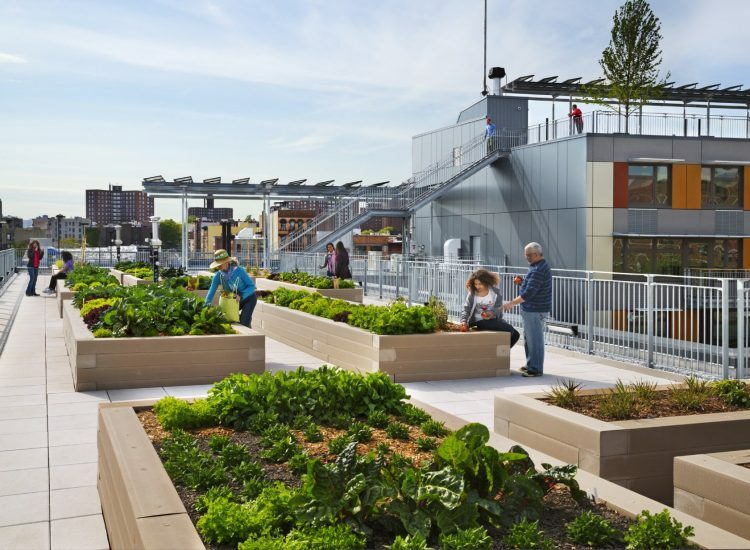 The project set a new standard for green affordable housing in NYC.